Stowe & Degon LLC announces the addition of Christine Baril as a Manager to the firm. 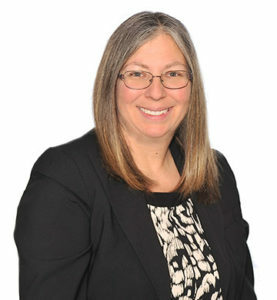 Christine brings over 25 years of public accounting experience within the commercial, government, and non-profit sectors to the firm. Her addition will further boost Stowe & Degon’s accounting and tax experience and service offerings to closely-held businesses and their owners. A graduate of Anna Maria College, Christine has progressively built her accounting and tax experience across both local and regional CPA firms in Massachusetts. For Stowe & Degon, Christine’s skills and experience in financial audits and reviews, tax planning and preparation, and complex tax engagements further add to the firm’s resources. Her hiring strengthens the firm as it continues to add to its teams in the areas of accounting, tax, and consulting, for the benefit of its clients. Christine is a certified public accountant and a member of the American Institute of Certified Public Accountants (AICPA) and the Massachusetts Society of Certified Public Accountants (MSCPA). She is also a member of the Board of Directors of the Central One Federal Credit Union.